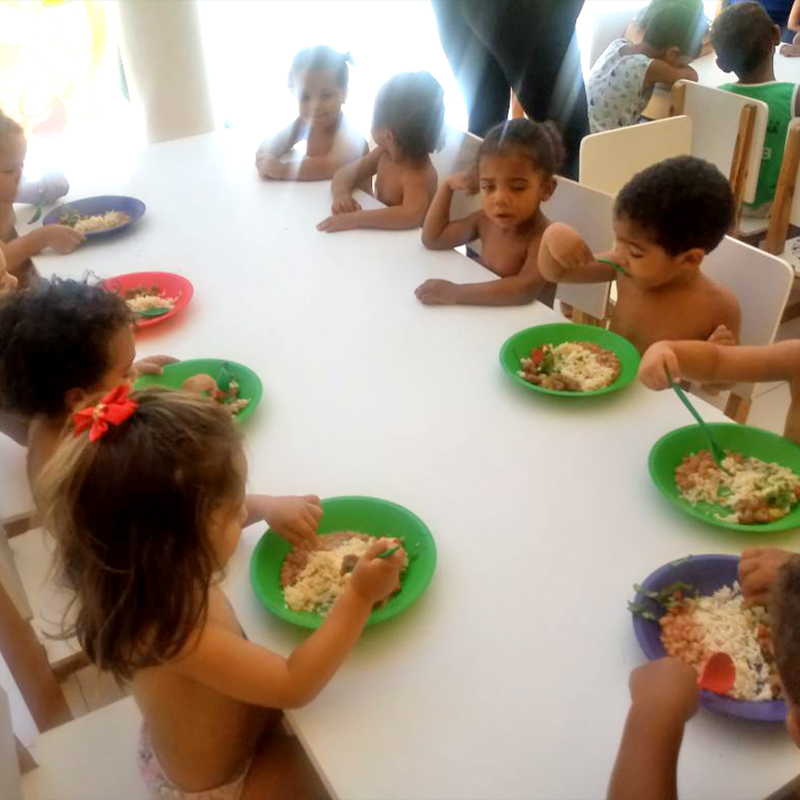 We just received these pictures from the Pequeno Samuel preschool, where Gicélia is the INMED Para Crianças project coordinator and Maria Rodrigues Dos Santos is the school manager. 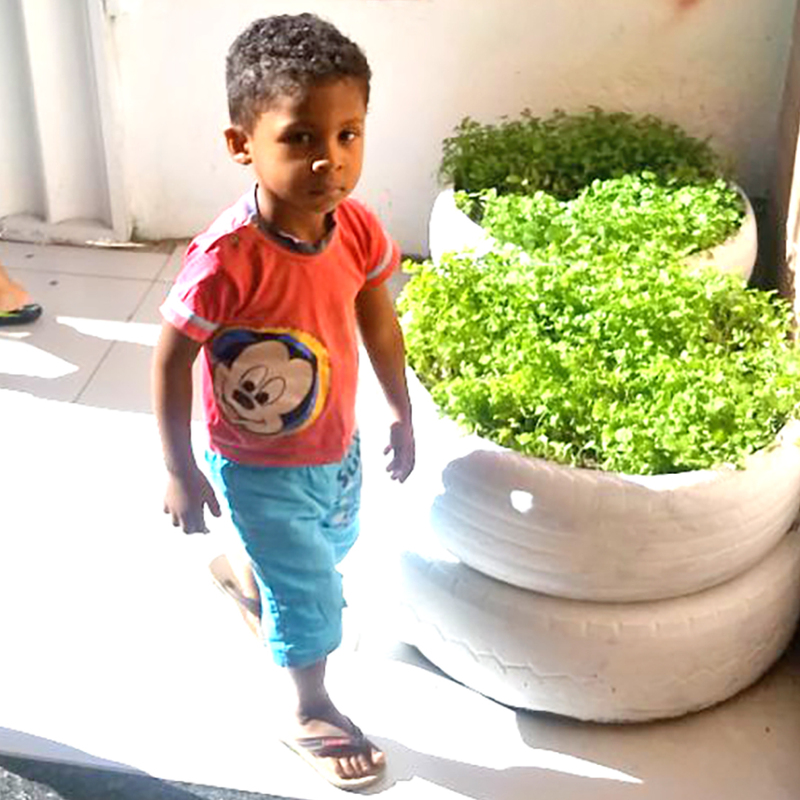 The preschool didn’t have space for a traditional garden, so our Para Crianças team installed a clever wall garden. 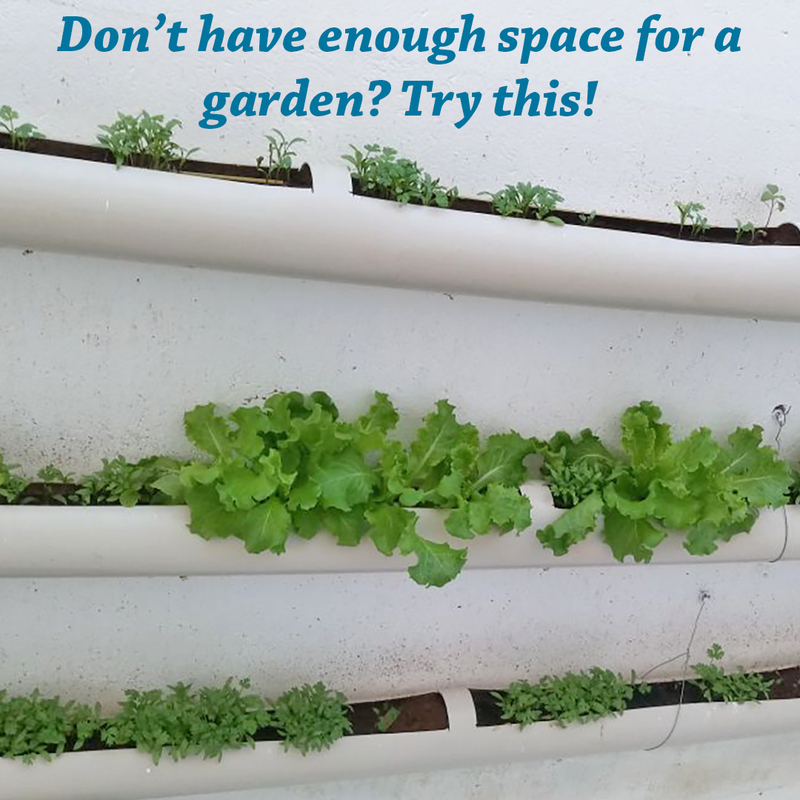 Maria planted lettuce in mid-February when the children returned from summer break, and now they’re harvesting greens for their school meals. 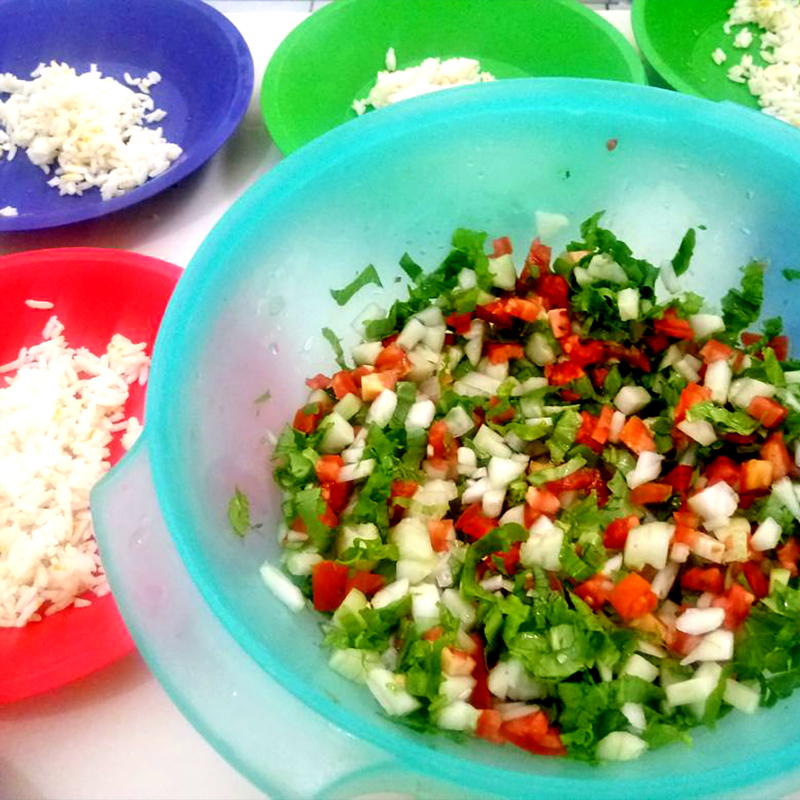 Cafeteria manager Cicera Maria da Silva is receiving training on how to prepare nutritious meals, incorporating produce from the garden. Judging from how the kids are digging into their plates, Cicera Maria is doing a great job! 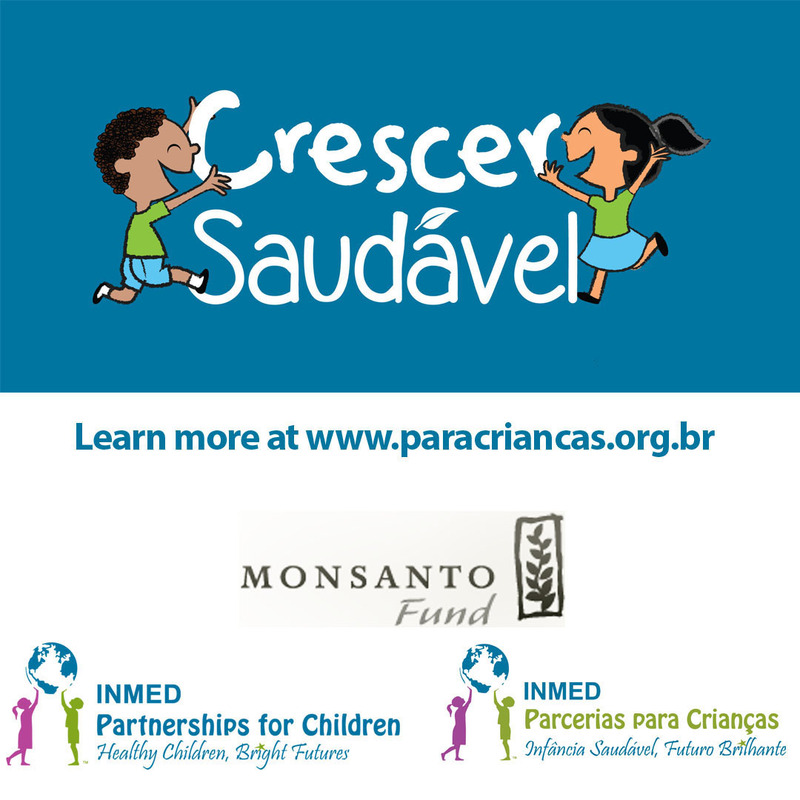 Pequeno Samuel is one of 117 preschools in Petrolina, Brazil that are participating in INMED’s Crescer Saudável (Growing Healthy) program, in partnership with the Monsanto Fund, to improve the eating habits of children age 0-5 years via school gardens and nutrition education.